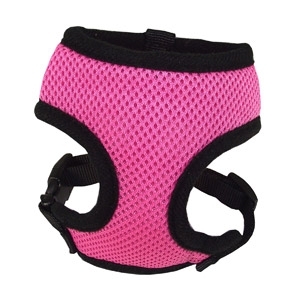 Your chick will step out in style with this breathable and completely washable mesh harnesses. One color just won’t be enough. Available in two sizes, rooster, and hen, that easily adjust for a comfortable fit. Each harness features black brushed nylon binding on edges for added strength and comfort. Side release black plastic buckle for easy on/off and a metal D-ring for leash attachment make this an easy choice. Choose from red, blue, black and pink. 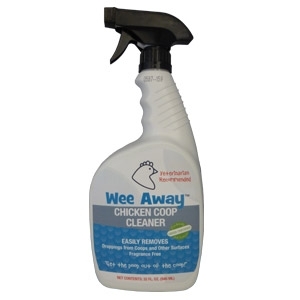 Wee Away® Chicken Coop Cleaner will take the work out of cleaning up after your chickens, ducks, and geese. 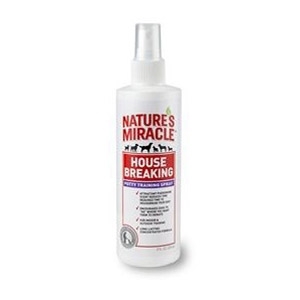 This environmentally friendly, bird safe product is formulated to easily remove droppings from most any surface including coops, surrounding areas, and even carpets. For healthy birds, clean the coop every 2-4 weeks. 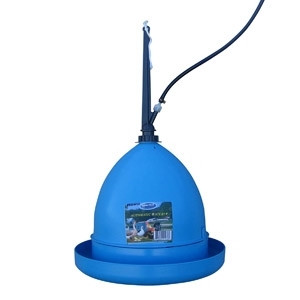 Used for feeder chicks and small game birds. 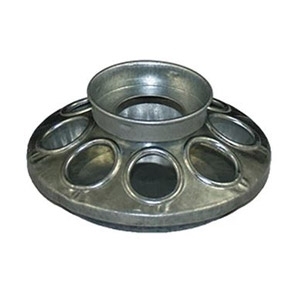 Galvanized steel construction and attaches to glass or plastic quart jar. The Ware Little Red Hen Chicken Coop is a quality full free range pasture pen combining barnyard charm with real farm function. 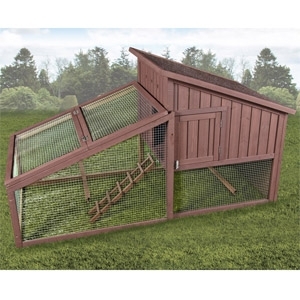 This easy-to-assemble coop features an appealing American barn design, E-Z clean metal pull pan, secure internal nest box, comfortable ramp, and large easy access doors. 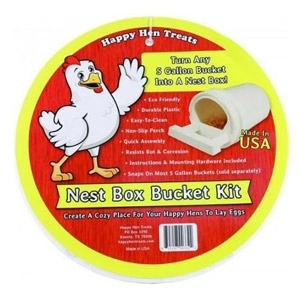 Make the Little Red Hen Chicken Coop an attractive addition to your yard or farm! 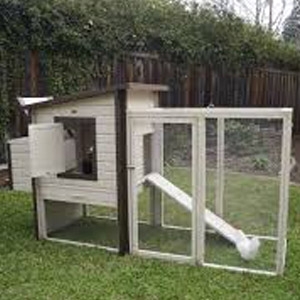 The ecoFLEX Fremont Chicken Coop is an all-in-one coop and pen with optional extension pen. Perfect for 1-2 birds. Pull out tray for easy cleaning. Two roosting bars. Coop door for extra security. Locking nesting box. Pen made with stainless steel mesh. Optional extension pen available. 10 year limited manufacturer's warranty. 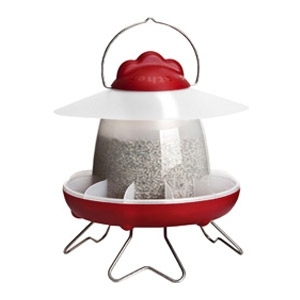 All-weather feeder featuring a top fill design with hood that has an anti-perch rain shield. Easy care and scratch guard to minimize waste. Fold out legs elevate food to minimize mess. 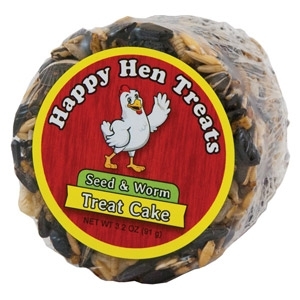 Our tasty Seed & Worm Treat Cake provides a nutritious snack while reducing boredom and pecking! 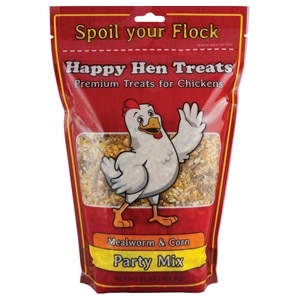 By hanging the Treat Cake and letting it swing, your chickens will have a blast trying to taste all the different flavors. 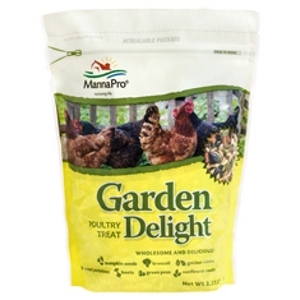 This 3.2 oz cake contains a blend of seeds and mealworms that your chickens will love. 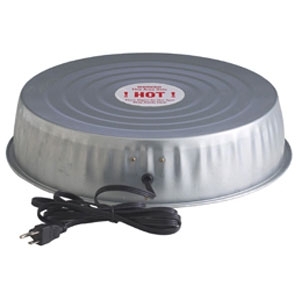 The Thermo-Peep™ Heated Pad is the ideal additional heat source for your peeps! The 9” x 12” size is perfect for the urban farmer in many settings. Use in the first stages of life for mandatory heat requirements and later when old man winter pays a visit! The internal thermostat is pre-set to the perfect temperature. 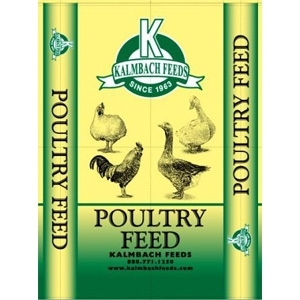 Suitable for poultry. Fast and easy set up. 165' length (50 m), 43" (1,100 mm) tall, double-spike posts. Green color. 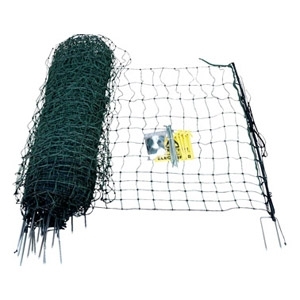 Set up is fast and easy.Includes: Warning sign, corner stakes, repair kit, and installation instructions. 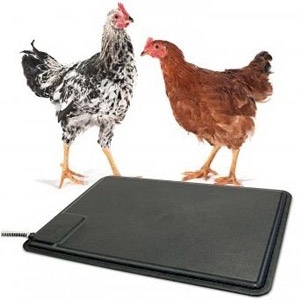 Help chicks and grown chickens stay warm with the K&H Thermo-Chicken™ Heated Pad. 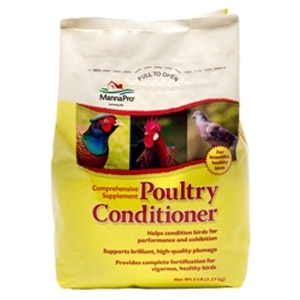 Use it to aid chicks in the early stages of life or to help any size chicken stay warm when the frigid temperatures of winter arrive. Internal thermostats maintain an ideal temperature and ensure chicks get a healthy start to life by preventing chills and pasting. 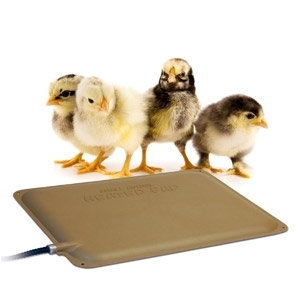 Using only 40 watts, the Thermo-Chicken™ Heated Pad is energy efficient. 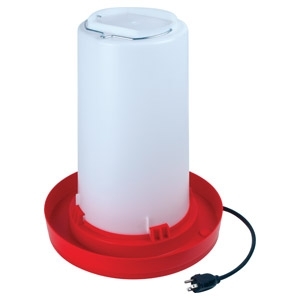 Use this product on the floor of an enclosure or mounted to a wall. Premium quality Hen House is made by craftsmen of high quality lumber. 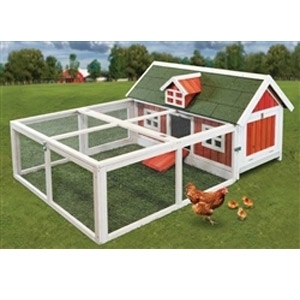 Comes complete with a large attached pen to provide a "free range" area, removable roosts, access ladder, and easy access top and side doors. 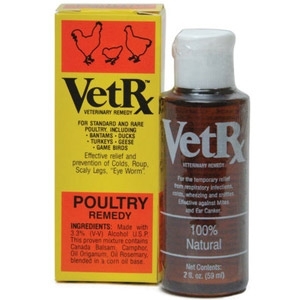 Liquid supplement for poultry. Rich source of omega 3 and 6 fatty acids. 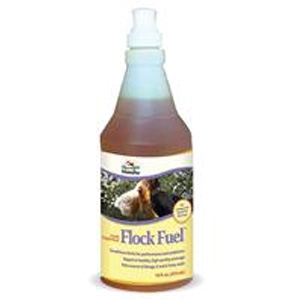 For energy and healthy, high-quality plumage. Conditions birds for performance and exhibition. Ideal for showbirds. This product is the healthy choice for you and your family. 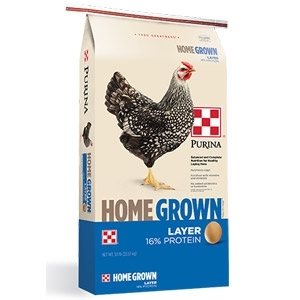 This product enables your chickens to produce eggs with high omega-3 fatty acids and high vitamin D levels to keep you and your family healthy. 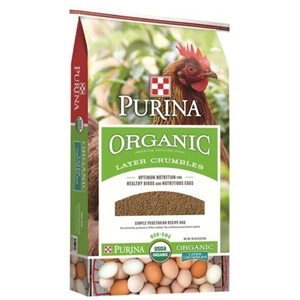 This product is all natural with no animal proteins or fats and no added antibiotics.